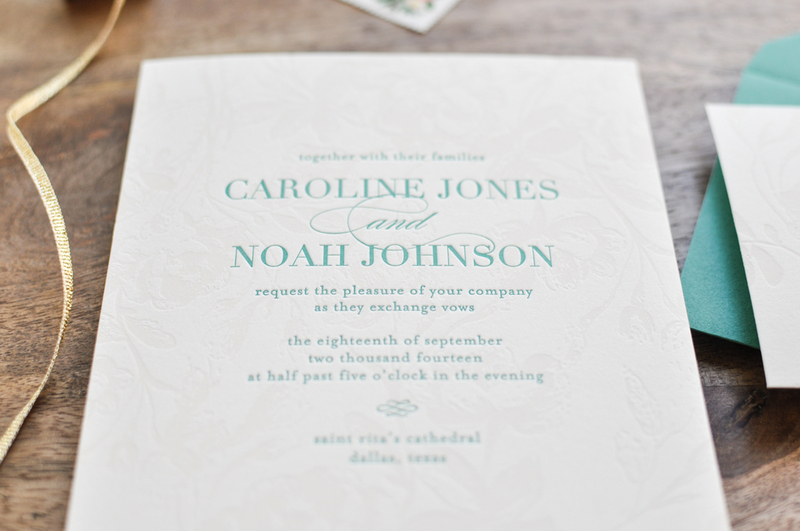 Catalina is available in flat print, letterpress and foil stamping. 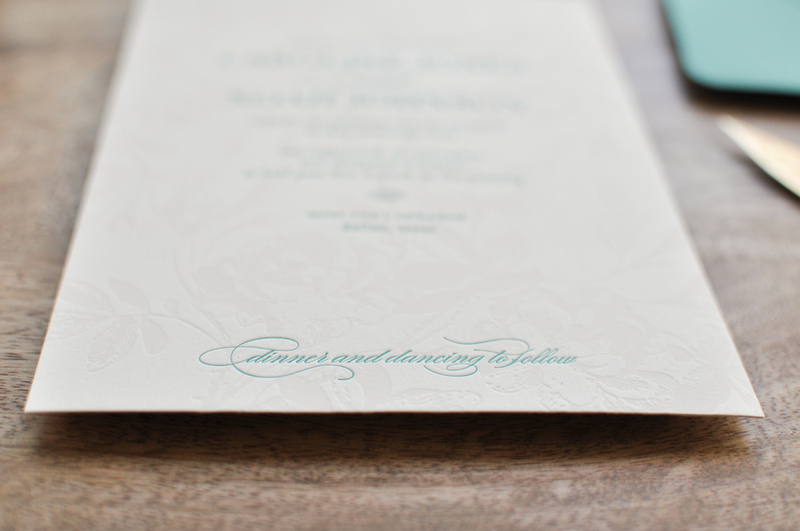 It is shown in '1 color + blind letterpress' and flat printing. 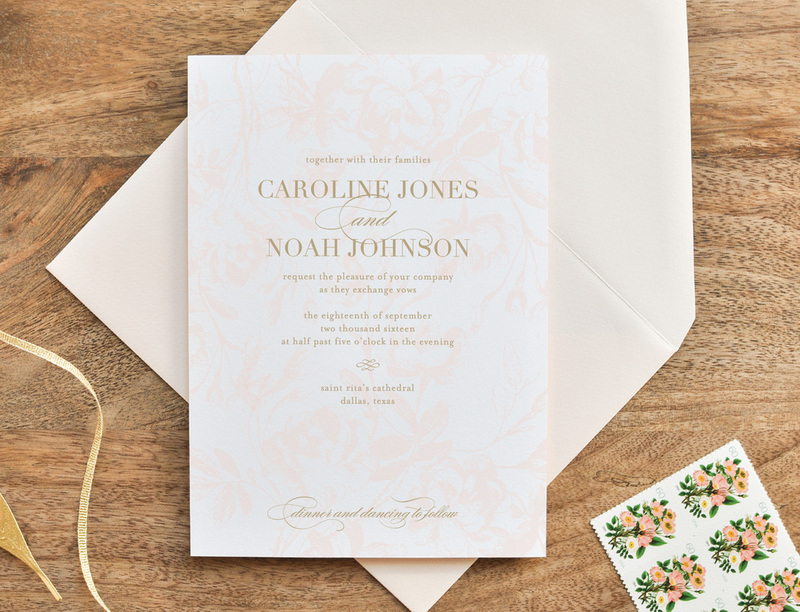 Invitation + RSVP card with envelopes, white and ivory paper swatches, metallic paper swatches (for envelope liners), a full Price Catalog, and printed Color Chart.